Babbitt & Johnson P.A. was first personal injury law firm in Palm Beach County to obtain a million-dollar verdict. In the years that followed as Florida personal injury lawyers, we’ve won numerous multimillion-dollar verdicts and settlements. Our personal injury representation includes medical malpractice, car accidents, product liability, commercial litigation, premises liability and more. and helped our clients out of difficult times. Our reputation and our track record has grown, but one thing remains the same: our commitment to each client. Our partners, Ted Babbitt and Joe Johnson handle every case themselves; never farming out work to a less experienced lawyer. And we only take on cases only after careful consideration and investigation so we can devote the resources each case needs – and each victory demands. Your best interests get our best efforts. 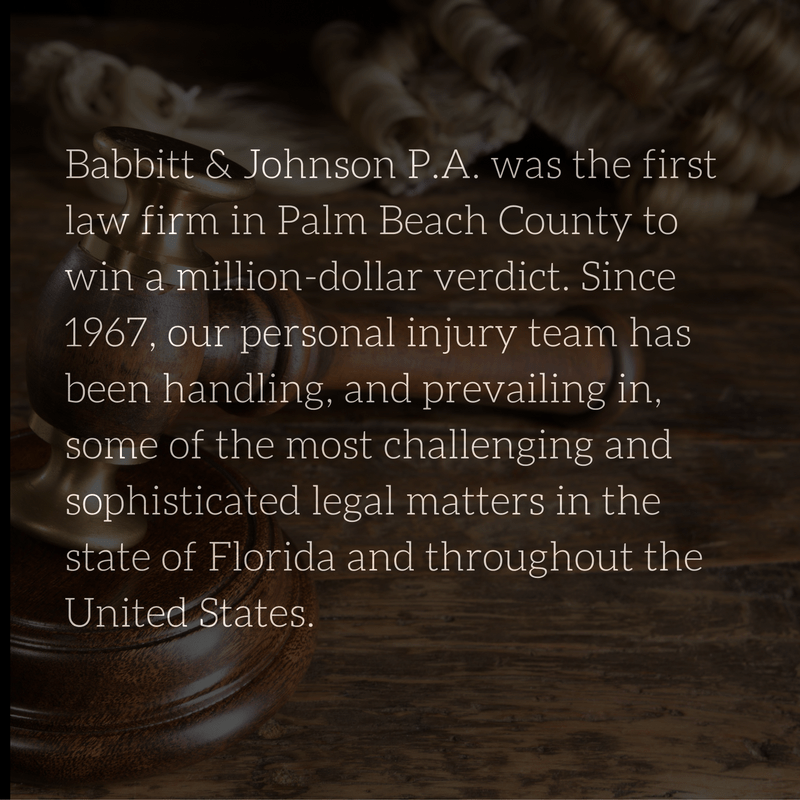 Learn more about Babbitt & Johnson P.A. at www.babbitt-johnson.com.